Want a fence to create a sense of security and privacy, plus look great at the same time? Cedar wood is the perfect choice! Our cedar fence panels are made from Western red cedar and made of 2″x4″ construction frame. 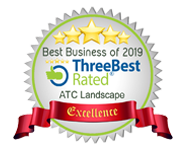 We also offer lattice top fences or solid fences with no lattice – whichever you prefer….plus we have an A+ BBB Rating! #1 grade cedar panels have minimal knots and clean in appearance. #2 grade cedar panels have some knots and visual markings. All panels are made of 2″x4″ construction frame and 1″x6″ tongue and groove paneling. We also use at least one landscape tie beneath each panel to provide proper levelling and also prevent rotting of the panel as the panel sits on the landscape tie and not on the dirt. We use only specially designed nails and screws for treated lumber. 4″x4″ pressure treated posts are used with holes dug a minimum of 2′ to 3′ deep below grade and cement for each post. We also cut posts to a uniform height and add caps to all posts. Have an existing fence you need to take down? Not to worry – we will do this for you! Our total price for cedar fencing includes all costs for materials, labour, rentals, delivery charges, demolition and removal of existing fence, and taxes. Our estimates are honoured for 30 days from the estimate date and a deposit of 50% is taken prior to the commencement of work. Total payment is to be paid by the customer after the job is complete. You can be rest assured we will provide you with the perfect fence to suit your needs!